With its own private beach and a wide range of on-site amenities, the Grand Plaza Hotel Hurghada is perfect for couples and families on holidays to Egypt. The hotel has a health club, aqua park, several restaurants and bars and a selection of exciting water sports available to try on its nearby beach. 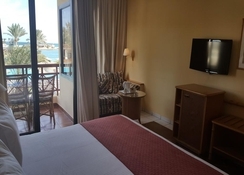 The hotel features 199 modern guest rooms, each with comfortable and quality amenities and the resort is close to the Hurghada International Airport - which is just over 2 miles away. 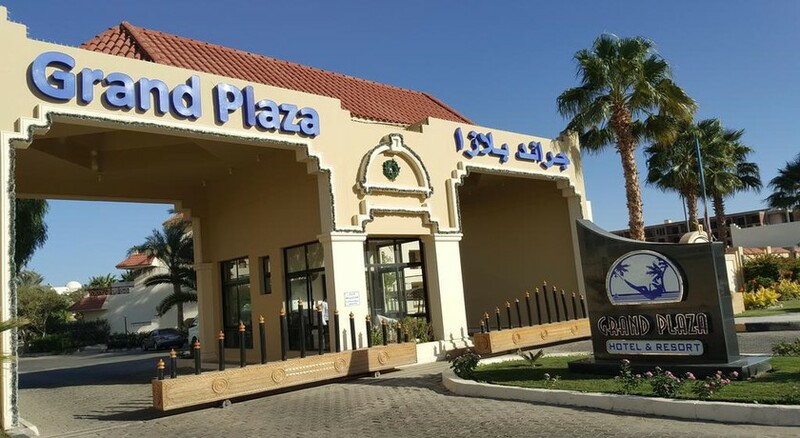 Grand Plaza Hotel Hurghada offers an all inclusive programme to guests if they prefer, in addition to facilities for tennis, volleyball, a kids’ club and evening entertainment including a disco. The Grand Plaza Hotel Hurghada has everything you need and more to experience a relaxing or active break in Egypt this year. 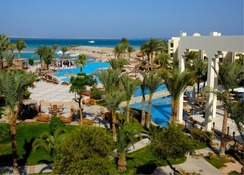 The Grand Plaza Hotel Hurghada is located on Egypt’s Red Sea coast and is a popular tourist destination. You can book excursions to many of the popular spots in Egypt such as the Valley of the Kings, Giza and Giftun Island National Park. The Hurghada International Airport is 2 miles away. 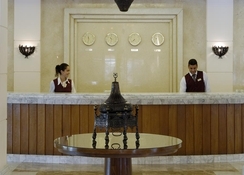 There are 199 available guest rooms at the Grand Plaza Hotel Hurghada. There is one main accommodation building and six other separate buildings, and you can choose from a Standard, Twin or King Room as well as several Suites for bigger travelling parties. All the rooms at the resort come with air conditioning, minibar, satellite TV and Wi-Fi. You have plenty of dining options at the hotel. Panorama is the main buffet-style restaurant with a range of local and international cuisines available, while Casa Mia is an a la carte Italian eatery perfect for those craving pizza and pasta. There is also the Catamaran Beach Restaurant as well as five different bars spread throughout the complex itself. 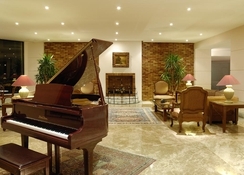 The Grand Plaza Hotel Hurghada has a ton of activities for all ages. This includes several pools and an aqua park. The resort has its own private beach with a selection of water sports while you can also head to the gym to maintain your fitness or relax in the health club which has a Jacuzzi, sauna and steam room. Children can avail of the kids club which has activities on both during the morning and afternoon and there is a disco while the Hurghada Grand Aquarium is 2 miles away.